Thanks to all those teachers and schools who have been so generous in sharing their classroom practice with us, providing us with lots of great video clips to illustrate important strategies. We are now able to share our first tutorial on Teachers' Use of Target Language with you. Please feel free to dip in and out of it in your own time. No need to register, just click on the tutorial above. A Healthy Obsession: My name is Bláithín Macken Smith and I am eighteen years old. If you could see sixteen year old me it would be as if you were looking at two entirely different people. I suppose that could be true for a lot of people, but for me the reason behind my big transition was my study of languages. Until my fourth year of school I utterly despised everything about school, every morning it was more difficult to drag myself out of bed, so much so that I very often didn’t. I was convinced that after my fourth year of school that was it. I was going to drop out. So desperately did I want to leave school and become a tattoo artist. I spent much of transition year on work experience in various parlours around Dublin. Many of my family members and teachers thought that the war was lost and that my mind was made up, and then something happened. All through transition year I was given the opportunity to try subjects I had never tried before. Russian, Japanese, Latin and Spanish, which I had studied since first year but which I now saw the fun in. I took part in language aptitude tests and the DATS tests which showed my abilities in linguistic subjects. Unfortunately for me I didn’t listen to these signs until fifth year. When I finally discovered my love for languages the course of my life changed entirely. I decided I would not do a science or a business subject for the Leaving Cert and instead took up Japanese and Russian along with Spanish, Irish and English. My whole outlook on school changed. I very rarely missed a day and even went to Russian classes every Saturday morning, and although it was stressful at times I loved every minute of it. I threw myself into my studies simply because I loved my subjects so much. I applied for an exchange to Japan at the end of fifth year which I succeeded in getting. I spent three weeks attending school in Kansai in Japan and I stayed with two different host families who lived in very different areas and gave me two very distinct cultural experiences. It was one of the most amazing experiences of my life and I learned so much. Not only about another culture but about myself as well. I knew exactly what direction I wanted to take my life in. I made life long friends in Japan, with whom I still speak on a regular basis. Of course my language skills have become a lot more colloquial than correct, but hey! Where’s the fun without some juicy slang? Once sixth year started I was so ready to take the big LC head on! God how over confident and wrong I was. It was possibly the most horribly over thought period in my life. I, along with every other sixth year in Ireland completely over worried about those faithful exams. Anyway, after a ridiculous amount of studying and guilty dossing I managed to pull it out of the bag. It’s fair to say that me and everyone else I knew were absolutely gobsmacked with my results. I mean former pink mohawked cynic of the year getting three A1s in Russian, Japanese and Spanish along with prefect of the year?! An utter miracle. I didn’t recognise myself but I’m absolutely loving this new found sense of self. Entries should be prepared by teams of 2 students and be of 2 minutes of duration, including credits. All music and images used must be credited. We suggest you use images from: Turismo Castilla y Leon to avoid copyright infringement . Duting their stay in Castilla Y León winners will be required to post photos and comments on their experience on the Languages Initiative Facebook page. By entering the competition the entrants agree to abide by the rules. The entrant retains copyright over their original work, but by uploading a video, the entrant grants permission to the Post-Primary Languages Initiative to use for mash-ups, instructional purposes, promotional material or as examples of exemplary learning. Users who abuse the messaging system as a way to request “likes” for their video will be disqualified. This is against Post Primary Languages Initiative policy. The jurors’ decision will be final and no correspondence will be entered into. The jury will select the best videos based on their creativity, final production, and content. Photo Credit: Kris Cerneka; Kyoto Japan 2014. Get your cameras ready for our 'Wonderful Words' photo competition! For this competition, take a photo of something you love, and submit it with an appropriate caption (a phrase) in a language other than English or Irish. It could be a person, place or thing -anything that you love. Post your submission on our Facebook page (Post Primary Languages Initiative) by November 27st. You can use a professional quality camera, or a simple phone camera! Submissions will be awarded points on the basis of creativity, language and appeal. Show us how the words of another language can express our feelings! Three winners will be chosen and will a 50 euros Easons evoucher. Photos must belong to the entrant. All submissions must be appropriate for a general audience. Max of 15 words in the caption. 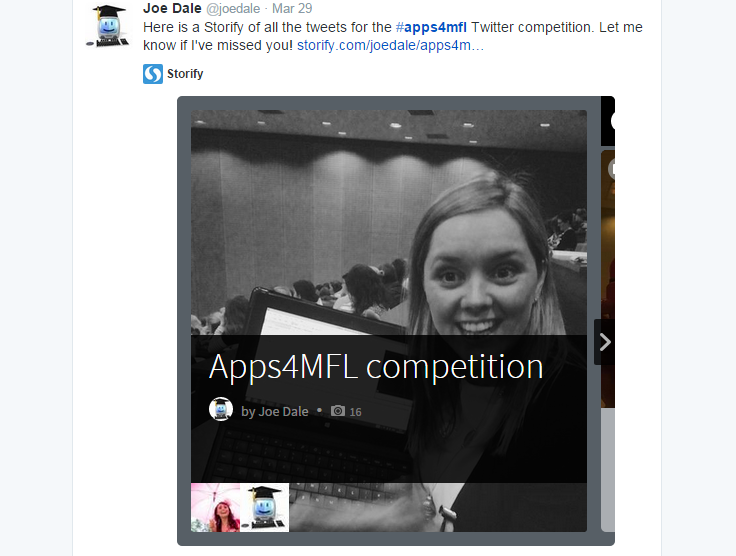 The entrant grants permission to the Post-Primary Languages Initiative to use for mash-ups, instructional purposes, promotional material or as examples of exemplary learning. Submit entries here bycommenting before November 27st. Any questions? Message Post Primary Languages Initiative on Facebook! This Competition is now closed. Thank you for your wonderful entries! If you would like to view the entries, visit our Facebook Album. The Post-Primary Languages Initiative and Maynooth University are currently undertaking research on initial teacher education (ITE) for modern foreign language teachers (MFL). We invite teachers who have qualified in the last three years to co-operate in our research. This will involve a 5 minute questionnaire which we have attached for your information. We would like to assure you that anonymity and confidentiality is of utmost importance to the project. No individual or school will be identified in the research. All data will be immediately anonymized and stored in a secure location until the project is completed. The results will be analyzed and written up as a research report. This will inform recommendations to MFL methodology lecturers and PME programme co-ordinators. Two Russian students in the Saturday LC class in Galway (provided by PPLI) recently won special prizes in an International Competition, organized by Barnaul Fine Arts Museum. Congratulations to these students on their great achievement, Nargiz Talybova and Diana Laenko. The task of the Competition was to read a Russian story/novel/fairy tale, write a review and illustrate it. The title of the Competition is "A Painted Story". Hi, my name is Lindsay, I’m 22 and I’ve just finished a degree in Spanish and German in NUI Galway. 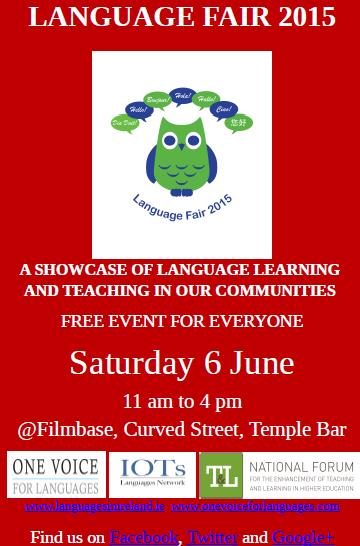 The most important things to know about me are that 1) I’m from Cork and 2) I’m an extreeeeeeeme language learner. My early background in language learning is nothing extraordinary. Like many other Irish people, I learnt Irish in primary school then I learnt Spanish and German in secondary school. Since then I’ve done courses in Italian, Portuguese, French, Polish, Basque, Swedish and Turkish. I say I ‘learnt’ these languages or that I still ‘learn’ them, because I don’t like saying I speak a certain language- you’ll always meet people who are out to prove you otherwise! Nor do I like to put numbers on languages when people ask me how many I speak-you’re better off being humble and people will get a pleasant surprise rather than have people say ‘she’s not all that good after all!’. People always ask how to learn a language. What I believe is the most efficient way to learn a language is, whatever you do in your native language that makes you happy, do it in the language you are learning. If you don’t have the patience to read a book in Spanish because you know you’ll have to look up every second word in the dictionary and you don’t particularly like the book in English anyway-don’t bother reading the book! Instead find another book, or turn on a comedy or a series you like watching in English, but instead, watch it in Spanish-you’re going to have the craic watching it no matter what language it’s in. And once you get this will to learn through enjoyment, you will get motivation to learn from looking forward to learning, rather than dreading it. Bouncing from that springboard, the momentum is easy to maintain, because every social interaction in the foreign language can be considered as an achievement, another milestone and hence a further incentive to keep going. In my own case with Polish, I’ve only been here a few weeks, but on the first day I felt it was an achievement that I could say ‘Hello, thank you, goodbye’ in Polish without anyone looking at me strangely, a few days later I felt the achievement of constructing a sentence longer than four words, a week in it felt great having really long conversations with people and they don’t even feel they have to switch to English, even though we both knew their English was better than my Polish. At this stage, I now feel really comfortable in terms of my speed and fluency and I genuinely feel like I’ve reached a new milestone (or maybe pebble stone would be a better word) when I use a word I learnt the day before in a book, or when I manage to nail a grammar point, because in Polish there’s a lot of grammar to be worrying about! Many fond experiences I’ve had when starting off using a language have been times like; speaking Polish in Polish shops in Ireland; giving directions in Spain to a guy in Basque; meeting an elderly Iranian woman living in Germany who could only speak Persian and helping her put phone credit into her phone; meeting another elderly woman from Spain visiting Germany, who refused to believe I wasn’t from her country; helping a German couple communicate with a Spanish policeman at an airport after they missed their connecting flight; learning Turkish through German in university, playing soccer with a German soccer team; sitting in bus in Spain talking in Swedish for hours with the person who sat next to me; spending Friday nights at university at the Doner kebab shop where you have a deal that if you buy a kebab, a member of staff will help me with Turkish for an hour. And then I get a great kick from the confused look people give when you tell them you’re Irish. With languages, you can be who you want to be, when you want to be. I didn’t always particularly like languages. Like most Irish people, the first language I learnt was Irish, and to be honest, I didn’t take any particular interest in it-but neither did I hate it. I think the reason why it didn’t spark an interest in me at the start was because I could never understand why I was learning it, or why someone would want to learn any language at all. It was only half way through secondary school, when I was also learning Spanish and German, languages that are spoken in whole countries where many people can’t even speak English, that I started to love an appreciate Irish because I started viewing Irish as an actual language like Spanish and German and not as this gibberish Peig probably just made up because she had no one else to talk to. Aided by my studies of both Spanish and German in secondary school, I began to understand this and now I have an extreme pride of the Irish language, even though the language’s current situation frustrates me and I’m very doubtful about its future. Another thing people always talk about this ‘language talent’. I don’t believe a ‘language talent’ exists, but I do believe that certain personality traits and academic strengths do assist the learning of languages. In my own case, I think that apart from having a huge interest in foreign cultures and getting super excited with the sight of a grammar table or a vocab list, I think that my good memory for words, my no-fear mentality, my love of vocal communication and my previous experience make language learning easier for me. But there are also many parts of my character which have a negative effect on my language learning, like my lack of concentration on one particular language, my ‘selective’ hearing, my lack of patience with myself and other people, and of course that Cork accent of mine needs regular moderation. I spent a few months in Italy improving in Italian, then I spent another summer in Spain improving in Spanish and learning Basque and then I spent a year in Germany on Erasmus and now I’m in Poland on my current language adventure. I’ve been learning Polish for a while already, but not very intensively. Because I wanted to finally dedicate myself to this language for a while, I’ve come to Gdansk, Poland, where I’m now writing this. I think you can learn a language very well in your home country as well, there are even a lot of advantages to learning a language in your home country rather than in the country where it is spoken. In your home country you are socially comfortable and settled in terms of habits and routines which can be more easily adjusted to language learning than someone who has a more unsettled lifestyle away from home and familiarity. Living in a country where you don’t speak the language very well, refusing to resort to English is a very difficult lifestyle however. Even though I consider myself a person of adequate social abilities, there are times when I avoid talking to people or entering social situations because I know my capabilities in the language are going to be stretched; I probably won’t understand what they are saying, and I’ll be embarrassed and stupid because the person I’m talking to is looking at someone in their early 20s and hearing the equivalent linguistic abilities of a two year old polish baby. Being an experienced language learner, I now know that this language learning process isn’t about showing how great you are, it’s about being humble in your knowledge and capabilities, and fully open to new ways of saying things and new ways of thinking, in the effort to become a more cultured, multilingual, tolerant human being. It’s a hard feeling knocked down and rejected when trying to communicate in a foreign language, i.e. If you say something cringy by accident or make a stupid mistake you should have learnt 10 years ago when you started learning the language. But at the same time, most people you talk to appreciate and admire the courage and discipline you’ve invested in learning their language and, people telling you this, against all the corrections and misunderstandings, remind me that I should be delighted to have found myself a hobby that makes me a better person in all areas of life. But refusing to speak English has its downsides. Last week, for example, I had the worst Sub at Subway ever because I could only ask for the fillings I knew the names of in Polish, rather than taking the smarter option and saying exactly what I wanted in English. So in the end I had a pretty awful salami, tomato, cucumber Sub with ketchup. It’s experiences like this that make me envy tourists who are not looking to practise the language, but I view my long-term goal of speaking amazing Polish as much more rewarding than a good Sub! Anyway, that’s a brief summary on why I love language learning, don’t be afraid to get in contact if you’re a fellow language learning fanatic! 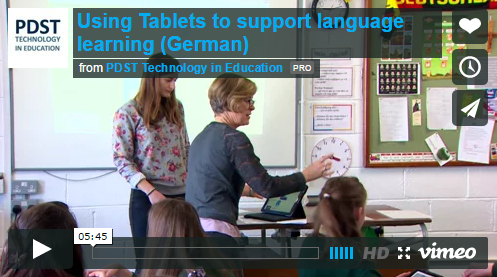 Since the conference we have assisted PDST Technology with the production of two great videos of MFL teachers using apps in their classrooms in Presentation College Wexford. Scroll down to the end of this newsletter to view them! They are a 'must see'. A group of experts from various stakeholders in post-primary education including the DES, the PDST, the NCCA, JCT, SEC, and a number of providers of MFL pedagogy on ITE programmes attended this workshop, which provided a training opportunity within the framework of a cooperation agreement between the European Centre for Modern Languages and the European Commission on Innovative Methodologies and Assessment in Language Learning. In Europe most foreign language teaching and learning is benchmarked against the Common European Framework of Reference (CEFR) for language proficiency. Having language qualifications benchmarked against the CEFR is seen as a way of increasing mobility opportunities across Europe, where CEFR levels are widely understood and used. This event allowed for the sharing of expertise, as well as ensuring that there is standardisation of work done across agencies of the Department of Education and Skills. We will be looking at how we can best multiply the RELANG workshop in the next academic year. 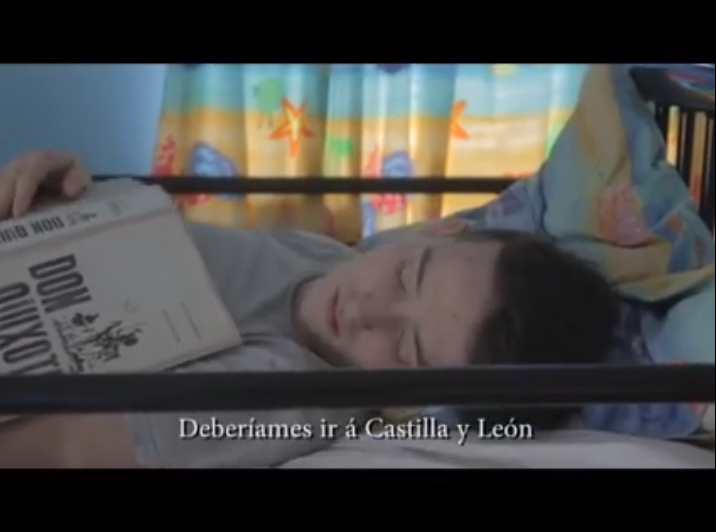 Check out the winning video above - two students and their teacher from Ashton School in Cork won a week in Castilla y León covering the cost of flights, home-stays, and language school for one week. Second and third prizes also included home-stays and language school for a further two sets of two students and their teachers - second prize was won by the Dominican College in Griffith Avenue (click here to view) and third prize was won by Gaelcholaiste Luimnig in Limerick (click here to view). We think you will agree that the standard of the videos is impressive - the judges found it difficult to choose winners and commented particularly on the creativity demonstrated by the students. This scholarship competition was run in collaboration with the Consejeria de Educación and prizes were sponsored by La Junta de Castilla y León and the Spanish Tourism Office in Ireland. Thank you to all. Are you learning or teaching French? Do you follow Souris c'est lundi!? We publish every week, videos, text, and accompanying resources. Check out the latest entry. Cannes festival French classroom challenge! How about creating a lip dub based on the catchy and ‘simplissime’ 1960s hit tune ‘l’école est finie’ (Sheila). Liberté, jeunesse, amour, joie de vivre… A vous les choeographes et cineastes! Souris‬, c’est lundi! The purpose of this event will be to raise awareness of existing national and European collaborative support for language teaching and learning at post-primary level, to facilitate an exchange of good practice between language teachers associations in Ireland, to discuss the challenges faced by language associations in Ireland and to discuss the benefits of collaboration. The event will provide an opportunity to present relevant European initiatives in this area, and to network and explore challenges, opportunities and common issues of interest in the Irish context. At the initiative of the Council of Europe, Strasbourg, the European Day of Languages has been celebrated every year since 2001 on 26 September. Throughout Europe, 800 million Europeans represented in the Council of Europe's 47 member states are encouraged to learn more languages, at any age, in and out of school. Being convinced that linguisitic diversity is a tool for achievening greater intercultural understanding and a key element in the rich cultural heritage of out continent, the Council of Europe promotes plurilinguialism in the whole of Europe. Read more and take part! Now that our ‘Apps4MFL’ conference is out of the way (see presentations on http://bit.ly/1GN7Ap3 for a taster) we are catching up with our digital literacy ECML ‘open project’ plan. We are writing to you regarding the ECML call for submissions 2016-2019. The project we have in mind falls into the open project category. See http://bit.ly/1CQULSY for reference. We therefore need to find three great partners from three different countries and need to include English plus one other language. We need to hear from potential interested partners as soon as possible but no later than Sunday April 19th. If you are potentially interested or know of someone who may be please contact me indicating your area of expertise, area of interest in this project and type of project outcomes you would be interested in. In recognition of UNESCO International Mother Language Day 2015 "Inclusion in and through education: Language counts" several diplomatic missions to Ireland would like to use celebration of this day as an opportunity to promote their languages and mother tongue education in Ireland. In Europe, in particular within the European Union, policy developments in the area of language learning have moved at a significant rate in the last two decades. Member states of the EU has expressed their commitment in this regard in Article 149 of the Treaty of Nice, which states that "Community action shall be aimed at developing the European dimension in education, particularly through the teaching and dissemination of the languages of the Member States." Those developments has been also introduced in Ireland, where linguistic landscape has changed radically in recent years. According to Census 2011 a total of 514,068 people (11% of the total population) stated that they do not speak Irish or English at home. In schools, there are pupils from over 160 countries and up to 200 languages are spoken. For approximately 70-75% pupils English is not their first language (Department of Education and Skills, 2011). Minister for Education and Skills, Jan O’Sullivan, TD said: “It is timely that my Department is developing a modern foreign languages strategy and I would like to thank the embassies for their contribution to this process. Our education system is hugely enriched by the presence of students from different cultural and linguistic backgrounds, and they are an asset to society in general”. On the occasion of IMLD 2015 several Embassies in Dublin took initiative to celebrate mother tongue education in Ireland with special recognition for the Non-Curricular EU Language examination at the Leaving Certificate (LC). Native speakers of all European countries may request to sit an examination in the Leaving Certificate in their mother tongue. The model for the non-curricular language examination papers is based on the First Foreign Language final written paper of the European Baccalaureate. It is encouraging to note the increasing numbers sitting non-curricular EU languages, since its introduction in 2005, which reached in 2014 more than 1500 students participating. 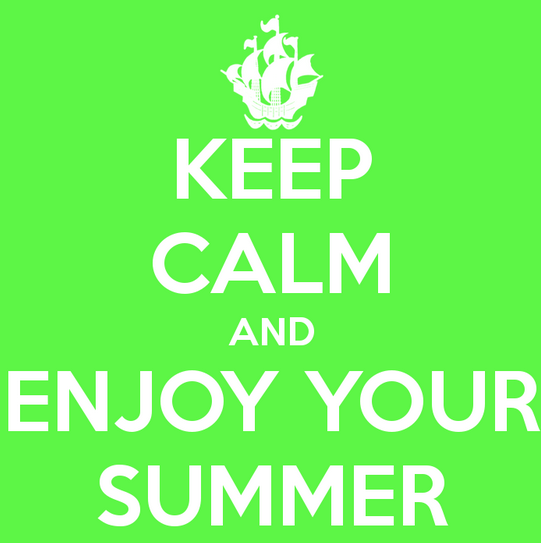 This year exam will be open for students speaking one of the 16 mother tongues: Bulgarian, Croatian, Czech, Danish, Dutch, Estonian, Finnish, Modern Greek, Hungarian, Latvian, Lithuanian, Polish, Portuguese, Romanian, Slovakian and Swedish. Those languages are being referred to as non-curricular languages because they do not appear as part of the normal school curriculum thus alternative means of learning need to be employed in preparation for the LC exam. In this regard we would like to recognize the role of complementary schools established by our communities in Ireland. The complementary schools, for the main part, run at weekends and provide tuition in subjects such as the mother tongue, history or geography. These schools play an important role in supporting students in linguistic skills and serve the whole community as point of integration being important partner in different projects. Nevertheless complementary schools are limited to primary level. Thus it is very important to find solutions to include non-curricular languages in secondary level program. There are new possibilities in this regard such as a short course which can be introduced as part of Junior Cycle curriculum. One of the most active organization in this area is The Post-Primary Languages Initiative, which works on the maintenance and development of the multilingual abilities of young people through the Irish mainstream education system. The Post-Primary Languages Initiative is collaborating with embassies of languages that are widely spoken in Ireland to create new courses which will form part of the new Junior Cycle Student Award (JCSA). Do you speak a language other than English or Irish at home? According to the last Irish census (2011), half a million of us speak a language other than the two national languages at home. What is your home language? As International Mother Language Day is approaching (Feb 21st), do you know which is the 'heritage language' most spoken in the country? And which are the other main heritage languages? For the answer to these two questions click here. What is International Mother Language day about? Find the answer. Why did the UNESCO choose February 21st to celebrate mother languages? Find out by clicking here. What can schools and universities do to mark IMLD? Click here for some ideas. Extended deadline! Want to work in France as a language assistant? New deadline! Want to improve your French? An 8 month work experience in France? Extra ECTS credits?